The rise of the Instagram shadow ban: is it real? Instagram is a very popular social-media platform with 500 million Monthly Active Users as of 2016, with average monthly follower growth of users reaching 16%. This alone makes the platform a marketers’ paradise when it comes to media and advertising, enabling strong engagement with an audience, generating rewards and building brands. We all know about “catch me outside” Danielle Bregoli that was pure Instagram gold. 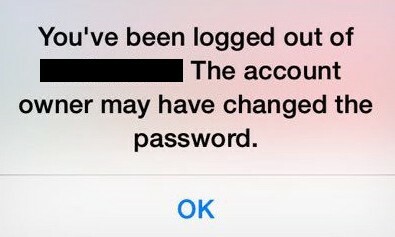 While trying to grow my accounts, I started to have a problem with the Instagram app as it kept logging me out of all my accounts and returning a notification stating, “the account owner may have changed the password.” Immediately I thought about the worst case scenario: someone was trying to hack my accounts. This would happen almost every time I would use Instagram or switch between accounts. I though it was a glitch with the app itself. Over the next few weeks, I sent a few messages to Instagram’s help and support, and after while it stopped happening. Everything seemed to be working as intended and my worries were over. Back to posting, getting likes, gaining followers, and trying to gain engagement. Then all of a sudden my hearts stop coming and notifications eventually dried up. All of the activity on my accounts just stopped all of sudden. I was confused — well, more ticked off than confused. This went on for about a week, along with my thoughts, “maybe no one has seen my posts” or “maybe my followers haven’t been using Instagram this week.” I carried on posting as usual — sometimes using less hashtags, sometimes more. Still there was nothing. My likes, engagement and most of all my follower count didn’t move. All of my likes were coming from accounts that were already following me. However, this is normal source of likes for anybody’s account, unless you hit explorer or you purchased a shoutout on a big account in your niche. For me, I would always gain extra likes from my choice of hashtags. Their success from them is mixed: some in the 50k mark, some in 20k, 15k, 100k and maybe even a 500k. Depending on the content, I would get some good results. I started to reviewed my analytics as my accounts are setup as business accounts and saw that there had been a massive decrease in impressions and engagement. Ultimately, I wasn’t getting any new followers. This indicated that no one was seeing my posts or my account at all. I heard about it on Twitter due to some of the political things going on a few months back. Reddit did it at one point. So I began to check over my accounts again as one thing I hadn’t checked before was my hashtags, so I started to go over my posts again, checking my tags via searches. Everything showed up when I was searching via my account, and then I did it again on my other accounts that were following me, and the same thing: everything showed up. So I checked from one of my client accounts, as they do not follow any of my accounts. Nothing showed up, not even my own custom hashtag that I use. None of my posts were displayed in “top posts” or the “most recent” section for hashtags. So I was officially shadow banned. How did this happen, and what kind of ban is this? I am even actually banned or do I just need to update Instagram? 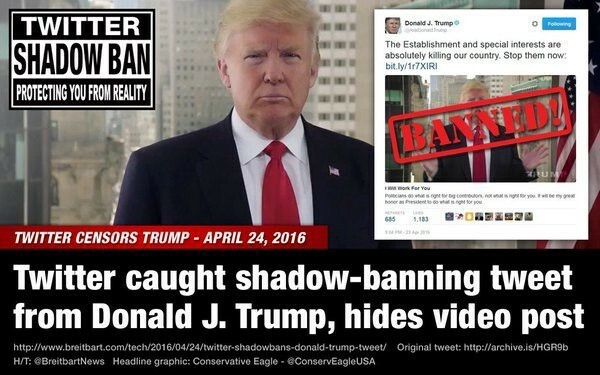 So what is a shadow ban ? Yep, I’ve been banned, So the situation was that technically I was kept quiet visually. It’s quite strange because I could use my account without a problem — following, liking, posting and leaving comments. So what is the actual point? I am no political activist or a politician, so why did Instagram decide to shadow ban me? Or has the Instagram algorithm detected my account for suspicious activity? I guess I should have known something was up from the issues I was having with my accounts logging out, the decreased engagement. Thinking about it, was the cause me having the maximum accounts logged in on one device? Most social platforms don’t like multiply accounts on a single IP address. And I’m running five accounts on mine. Or was it simply that I may have overused certain hashtags or even used too many hashtags? I saw the shadow ban as Instagram removing my account rights to use hashtags and appear in the search explorer, and not allowing my posts to be indexed for any tags at all. When this happens, after some time your account will just become in effect a dead account if you never notice or take some kind of action. After checking each day, I did eventually become unbanned, apparently. However, this did involve several messages to Instagram help and support before all my posts where visible again “out of the blue” to my relief. But say my messages didn’t work — what would have been my options or anyone’s option if they have been shadow banned? The only option is to start all over again. Imagine if you have a huge accounts — that would be detrimental. The thing is that you will never know if your account been shadow banned as there no warnings or pop-up notifications. It’s just one of those things — you could have been banned for months without realizing it and even now you could be shadow banned as you read this. You never know. There not much you can do to check to see if you are, apart from checking your hashtags from another account that doesn’t follow you. If you do find your account is shadow banned, try sending a message to Instagram’s help and support, maybe once every other day and keep checking your account. I did some asking around and there nothing much you can do, apart from wait and hope for the best in all aspects. There is no actual fix for this it is “how you say the luck of the draw”, all I suggest is proceeded with caution when using your account, as IG shadow bans are real.